Remember growing up and having the big pink bottle of Mr. Bubble? I do! I remember taking my bath full of Mr. Bubble’s bubbles. Now, Mr. Bubble has made Luxe. It’s a bath line for us adults! The first thing I noticed about Luxe is the packaging. I love the retro graphics! With back to school and the holidays coming up there is a lot of opportunities for gift giving. Luxe has you covered. I’m not sure which Luxe is my favorite, yet. But I do love the idea behind the dry bubble bath. I have had bubble bath disasters where the bottles have leaked all over the bathroom floor. When I saw Luxe has a powder version of bubble bath I thought it was genius. Now if the cats or kids knock over the bubble bath you just have to sweep it up! The Bubbletini Bath Bombs are super cute. I like that they are small and I can adjust how much I want to put into my bath. The directions say to use 2-3 per bath but use what you want! And one you’ve used all the bath bombs wash it out and now you have a beverage shaker. How cute is that? 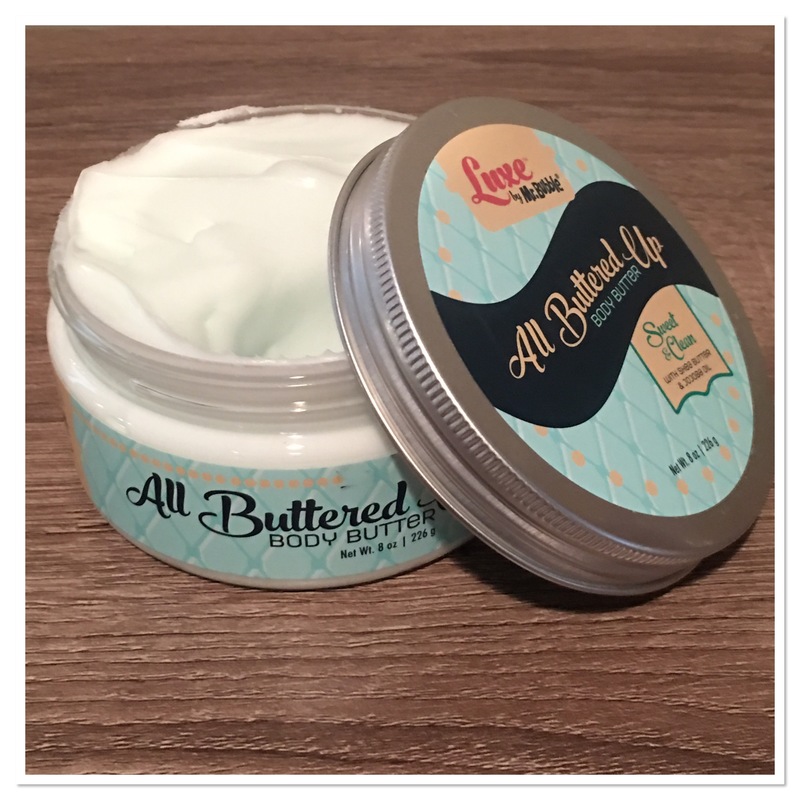 Luxe has you covered with body butter. Now that fall is here my skin is getting dry. A little body butter, with shea butter and jojoba oil helps to hydrate my skin. Plus the sweet and clean fragrance is refreshing. It’s a light delicate fragrance that makes you feel clean and ready to take on the day. The sweet and clean even comes in a fragrance! Keep it with you for whenever you need a little freshening up throughout the day. 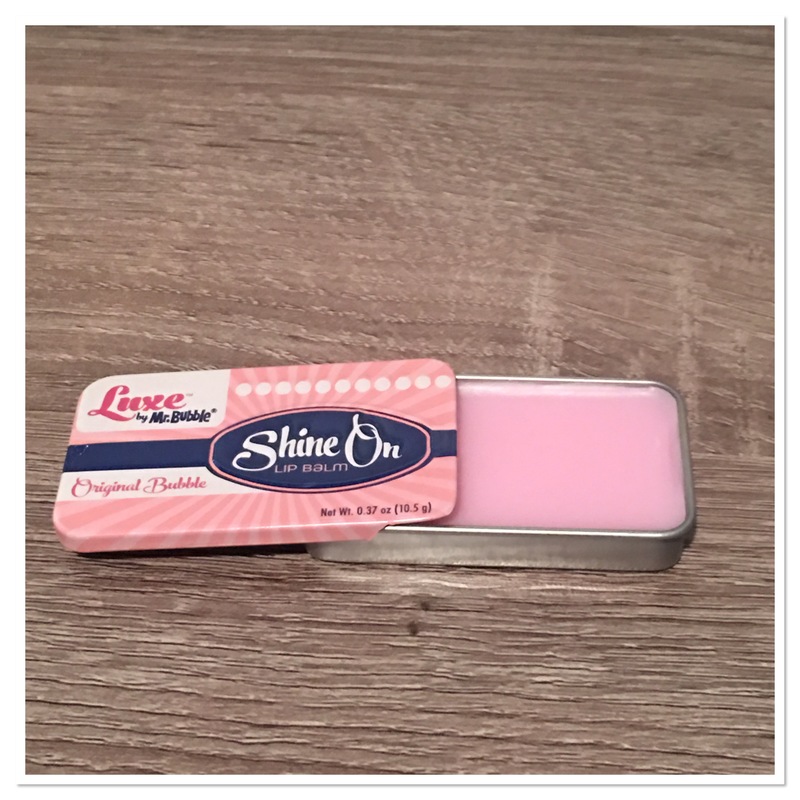 The retro tin for the shine on lip balm is adorable. This one Peyton has been trying to steal. She loves to apply the lip balm to her lips because it gives them a little shine and feels good. Luxe by Mr. 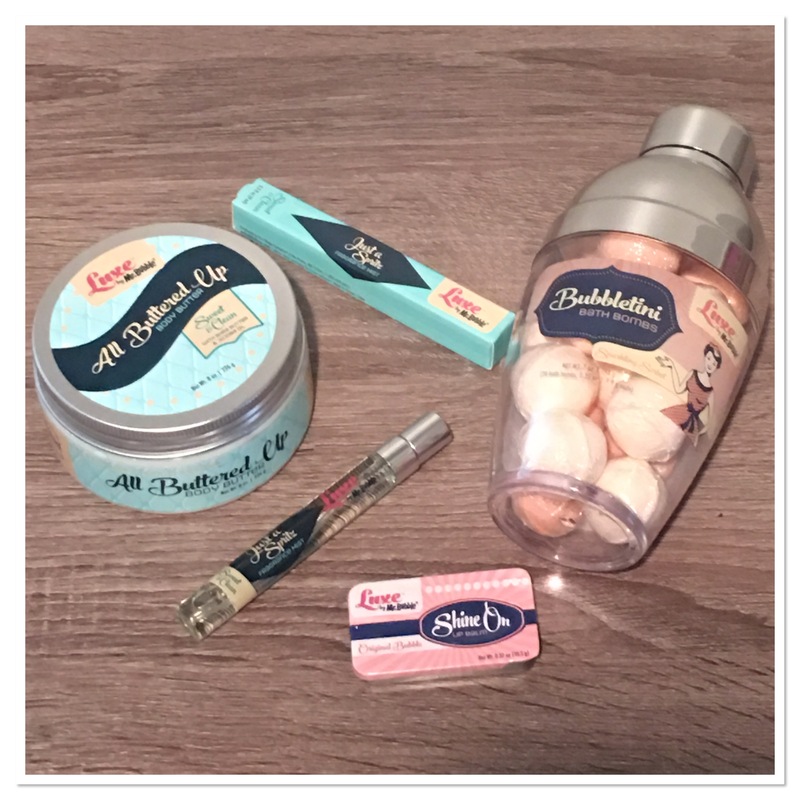 Bubbles is a fun, nostalgic line of beauty product. I’ve really enjoyed using them over the past few weeks. Besides the ones shown, they also have a shower cream enriched with jojoba oil and shea butter. This would be perfect for those dry fall days ahead. The jojoba oil and shea butter are sure to keep dry skin away. There are two fragrances for the Luxe line – Sweet & Clean and Original. I’ve enjoyed both of them over the past few weeks but I’m thinking the Sweet & Clean is my favorite. There are also gift sets! If you are having a hard time trying to choose a Luxe product to try out, pick up a gift set. It’s a great way to try out a few of them at once. Luxe by Mr. Bubble can be found at Target and Ulta. Currently, Ulta is having buy 1 Luxe product get another 50% off! Just add 2 items to cart for the discount. Maybe you know this, but…the original Mr. Bubble was a powder. It was one of a few brands, including Bub and Matey, that were boxed similarly to and formulated similarly to the high-suds all-purpose detergents of the time. Go back a decade or more before then, and detergent powders were commonly labeled as suitable for bubble bath too.